The Justice Department Tuesday plucked more skeletons from the closet of the New Orleans Police Department, indicting six additional officers in the fatal shooting of two unarmed citizens and the wounding of four others in the wake of Hurricane Katrina. The indictment is part of the Justice Department’s ongoing effort to expose police officers who either were involved in the Sept. 4, 2005, Danziger Bridge shootings or took part in covering them up. 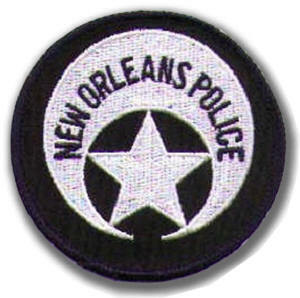 To date, five New Orleans officers have pleaded guilty to covering up the incident. “Today’s indictment should serve as compelling evidence of our unswerving and unconditional commitment to … achieve true justice for any victims of the charged killings, shootings and abuse on the Danziger Bridge, and the alleged corrupt cover-up that followed,” U.S. Attorney Jim Letten of New Orleans said in a statement. The indictment further aims “to restore the trust in the men and women of law enforcement who do serve the people and honor the badge; and to make certain that no one should ever have to fear those whose job it is to protect them,” he said. Posted: 7/13/10 at 8:13 PM under News Story.